PhytoLife – chlorophyll rich tonic containing Barley and Alfalfa juice extract is blended with important vitamins, minerals and essential nutrients. It will help to cleanse blood and intestinal system. Perhaps, it is the only greens product that you will ever need to maintain a healthy pH level in you body, detoxifies all organs and rebuilds cells and tissue. You can drink PhytoLife during your work day. It will keep you feeling fresh, invigorated, hydrated – it will enhances your energy and improves your overall health. Chlorophyll supplements are also recommended to patients with gastritis. This unique spray solution helps maintain high levels of CoQ10 in blood that enable you to keep your vitality and feel young. Ubiquinol – the active non-oxided form of CoQ10 which provides essential energy for your cells and protects them against oxidation stress. It strengthens your heart and overall cardiovascular system. Ubiquinol supplements is up to 6 times more effective than ubiquinone. Process of Aging and How to Manage It? Aging is a complex process that varies as to how it affects each of us. Most research of aging agree that the interaction of many factors including heredity, environment, diet, exercise and past illnesses influences our lifespan. No single factor can explain all aspects of aging but clinical studies revealed one of great importance – the oxidative stress in our cells. Oxidation happens naturally as by-product of all energy generating and consuming processes in our cells. In excess it cause a lot of damage too. To decrease oxidative stress in cells, we need to have a sufficient amount of antioxidants in our body every day. As the quality of our daily food is in decline, the need for good supplements as a source of antioxidants only grows. Chlorophyll is abundant in green, leafy vegetables and is essential for the process of photosynthesis, which is how plants convert sunlight into energy. It is also being hailed as the new must-have wonder drink because of its array of supposed health-boosting benefits. Look out for the Synergy’s Phytolife brand, which has added natural spearmint oil to give it a fresh minty taste. Health experts say that modern diets are high in unhealthy food changing the body’s pH balance in more acidic, which can lead to insomnia and weight gain. 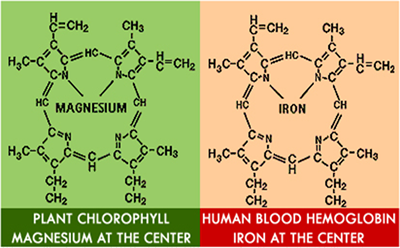 So, chlorophyll mixed with water can help keep people alkaline. It is also a powerful antioxidant that can protect you from cancer, has antiseptic and anti-inflammatory benefits, helps regulate bowel habits and provides a rapid method of delivery of magnesium, vitamin K, vitamin C, folic acid, iron, calcium and protein. The visible signs of aging are well documented and appear at different rates depending on our unique genetic make-up, which is pre-determined and unchangeable. There are also negative external factors that influence the aging process that are preventable. Medical studies suggest that free radicals – harmful molecules produced by the body as it processes oxygen – contribute to the aging process. 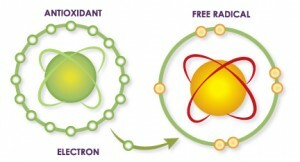 Free radicals, also known as oxidants, are unstable and highly reactive atoms that have at least one unpaired electron. They can be formed naturally in the body or can be introduced into the body from external sources, such as smoking or pollution. When free radicals interact with cells, proteins and DNA in the body, they can cause damage by modifying their chemical structure. Constant cell exposure to harmful free radicals over time causes aging. Medical observations demonstrated that regular heavy cigarette smoking could trigger faster skin wrinkles development. It was noted that skin aging and skin wrinkles in women correlate with number of smoked cigarette per day and with duration of chronic smoking. More you smoke – faster your wrinkles will appear. Laboratory experiments on cells have shown that antioxidants may help counter oxidative stress and provide anti-aging benefits. Antioxidants are literally the antidote to free radical damage. They are molecules that can safely interact with free radicals and donate electrons in order to neutralise the latter. Thus, antioxidants terminate the chain reaction of free radicals before our cells are damaged. Our body can be protected against free radical damage (oxidative stress) only through diet that is rich in antioxidant nutrients. Data from population studies indicate that people with a higher intake of antioxidant-rich vegetables and fruits may have a lower risk of some chronic diseases linked to aging. There’s some evidence that antioxidants may help guard against age-related macular degeneration (one of the leading causes of blindness in the United States). In a clinical trial published in 2001, researchers followed 3,640 participants with age-related macular degeneration for an average of 6.3 years. Results showed that those who took a combination of antioxidants and zinc in supplement form had a 25 percent reduced risk of developing advanced stages of age-related macular degeneration (compared to those assigned to a placebo). Cells are the basic building blocks of tissues in your body. Aging changes occur in all of the body’s cells, tissues and organs. These changes affect the functioning of all body systems. Ubiquinol is the active (non-oxided) form of CoQ10 which provides essential energy for your cells and protects them against oxidation stress. Around age 40 we start losing production of CoQ10. Studies showed that Ubiquinol supplements are up to 6 times more effective than ubiquinone (the oxidised and less potent form). Ubiquinol has two extra electrons. Because it has those two extra electrons and can donate them, it is a very strong lipid soluble antioxidant. The two main functions of Ubiquinol is cellular energy and cellular protection. There are other functions, it also helps regenerate vitamin E and vitamin C in your body. helps enjoy vitality and feeling young (slow down the process of aging in cells). strengthens heart and overall cardiovascular system.